If you haven’t yet heard, the 2020 Toyota Supra was recently debuted at the Detroit and Chicago Auto Shows of 2019. Although it’s based on 2014’s FT-1 concept car, it’s been completely redesigned to offer exceptional performance on the track and on the highway. The 2020 Toyota Supra specs are propelling the Toyota Gazoo Racing division into the future, and once you’ve experienced this new sportscar for yourself, you’ll have no doubt about this manufacturer’s sense of direction. The Supra will go from 0-60 in 4.1 seconds, and its top speed will be electronically limited to 155 mph. The 2020 Toyota Supra has been designed to offer a 50:50 front:rear weight distribution, and with its ultrawide stance, it’s able to keep a tight grip on the pavement, even when you’re moving at high speeds. Its wheelbase is 97.2 inches long, it’s front track is 62.8 inches wide, and its rear track is 62.6 inches wide. The 2020 Supra stands out thanks to its distinct double bubble roof, which makes the car more aerodynamic without limiting the driver’s visibility. It also hosts large, striking air intake valves on either side of the front grille. Its curb weight is just 3,397 pounds, and its overall length is just 172.5 inches. It stays low to the ground with an overall height of 50.9 inches. 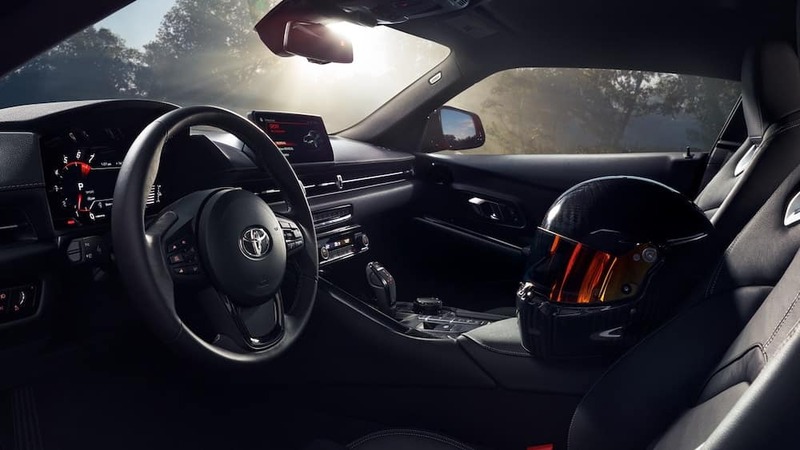 If you’ve fallen in love with the 2020 Toyota Supra specs, reach out to Earl Stewart Toyota of North Palm Beach near Palm Beach County to get the latest news and find out how to place your order. Want to experience the best of the Toyota racing heritage today? Contact us to schedule a test drive in a new vehicle like the Toyota 86.